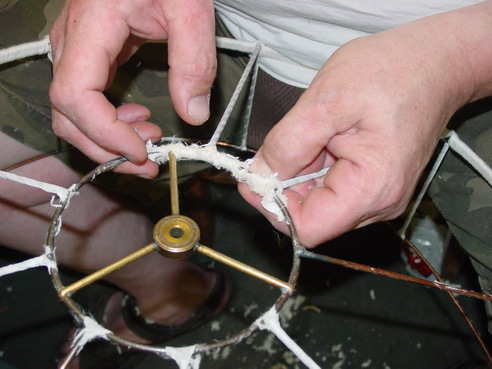 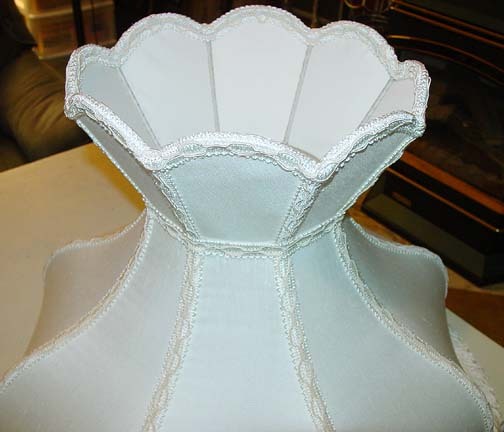 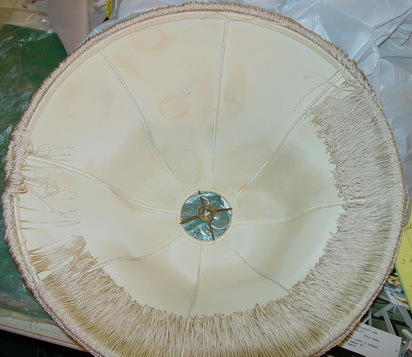 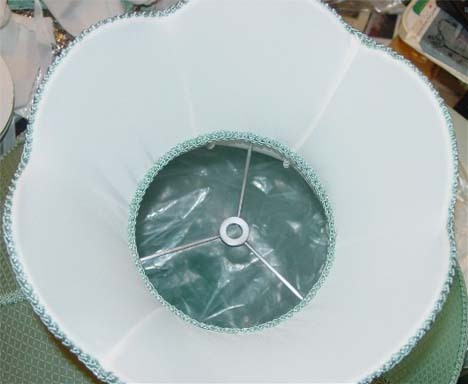 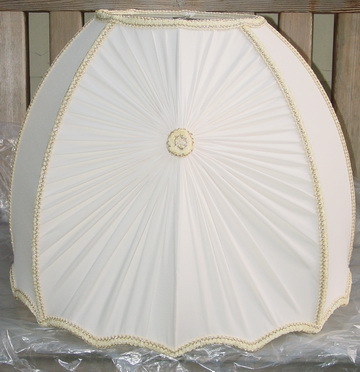 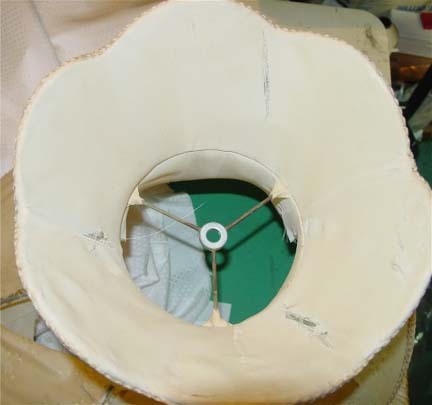 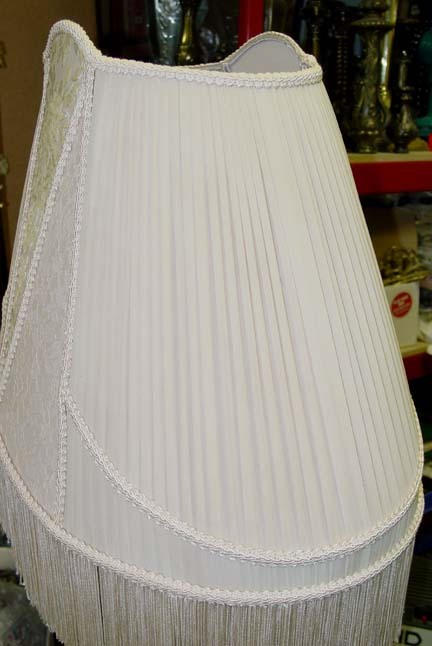 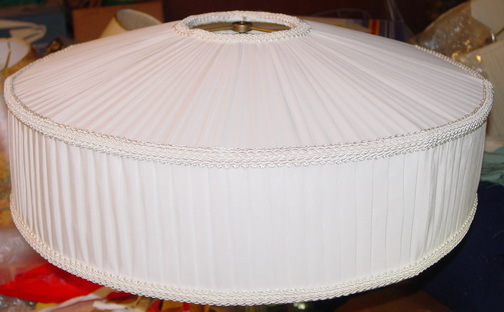 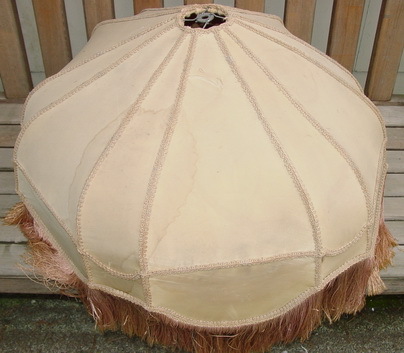 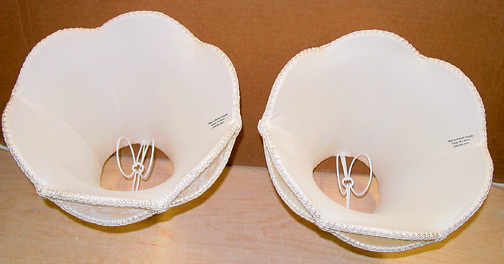 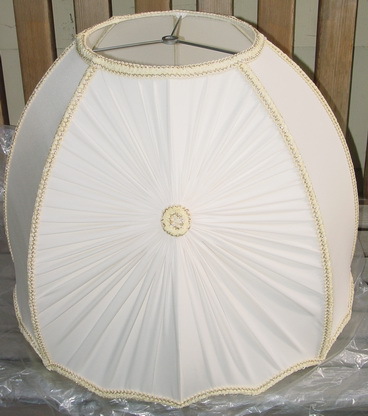 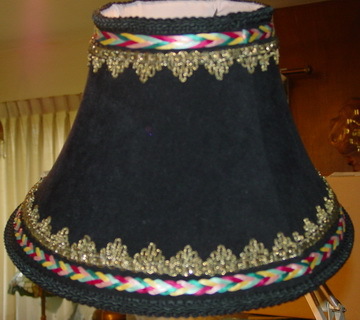 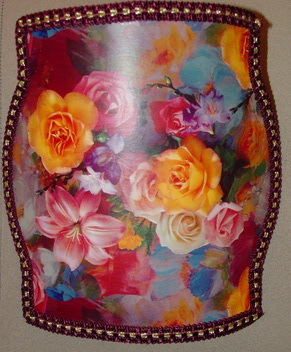 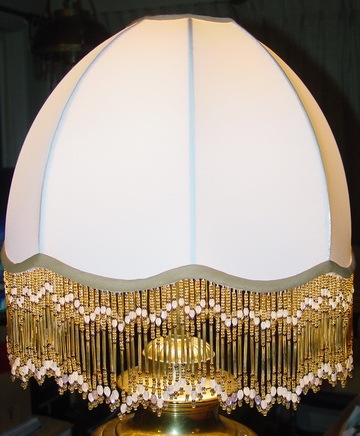 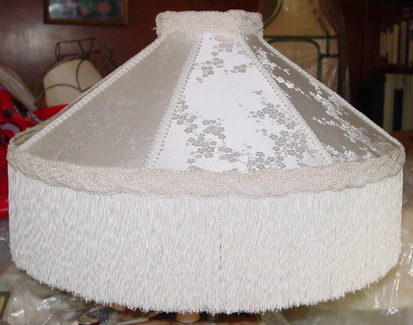 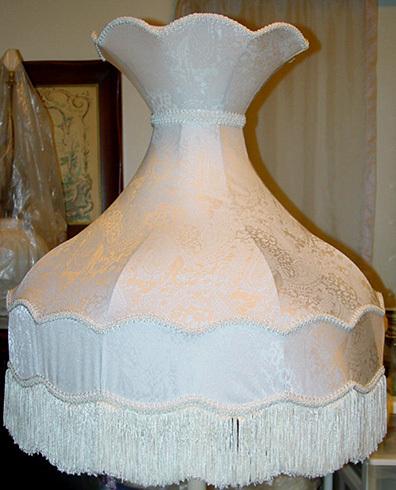 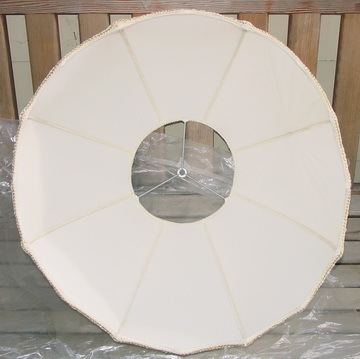 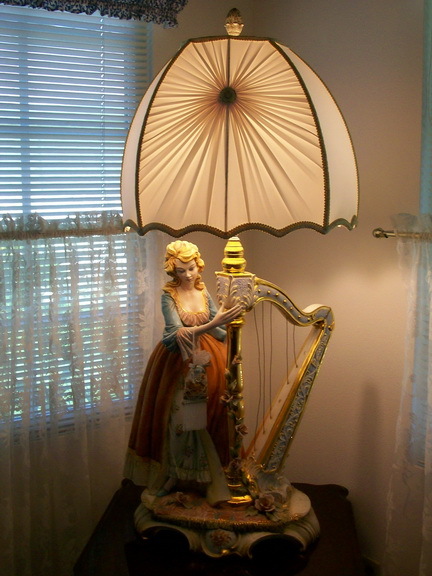 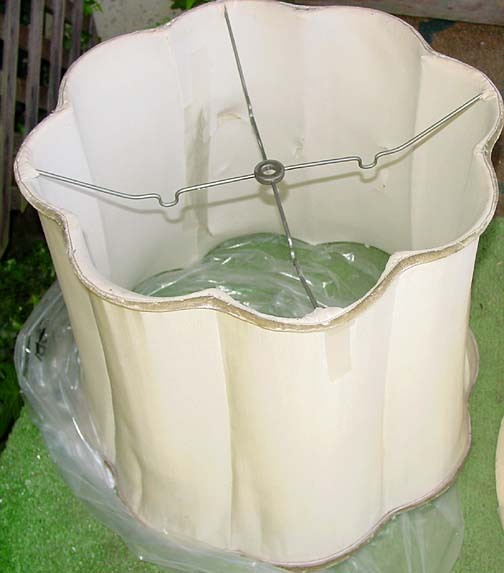 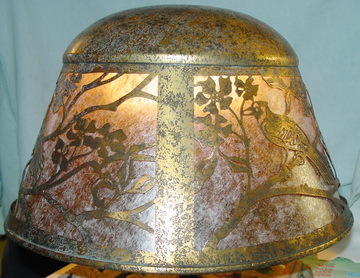 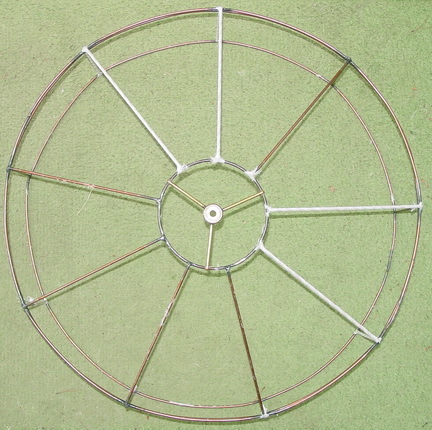 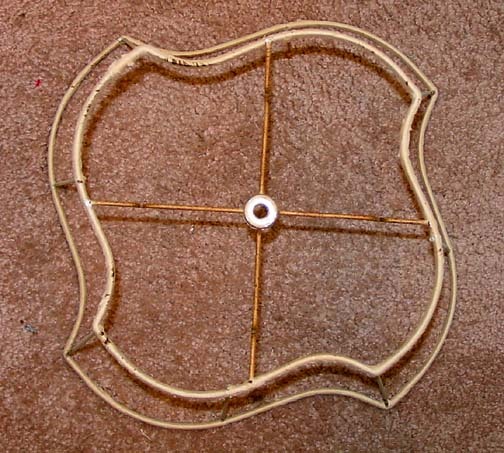 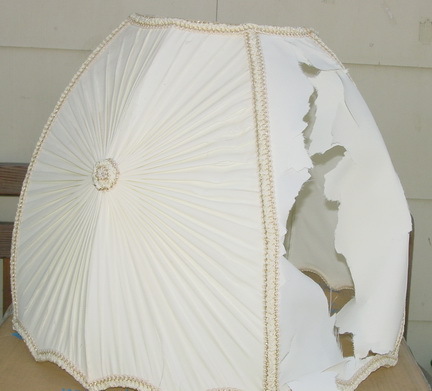 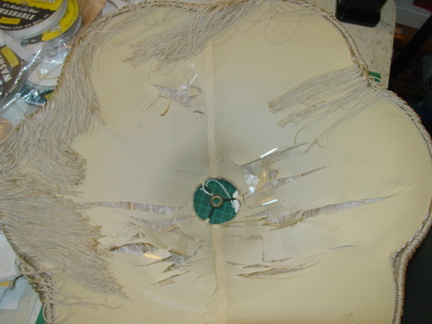 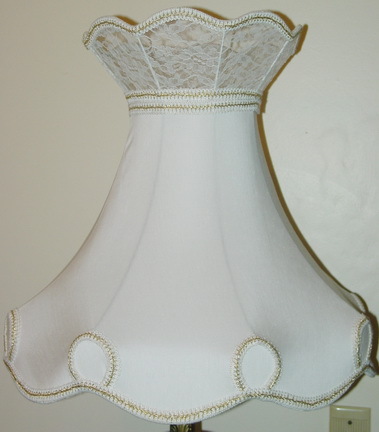 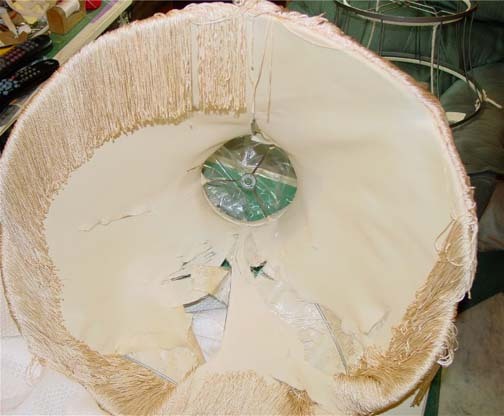 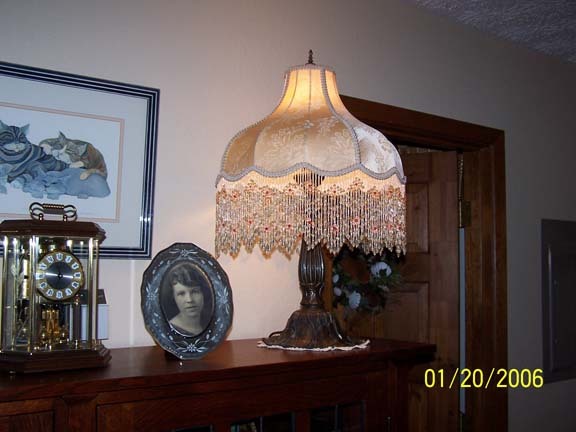 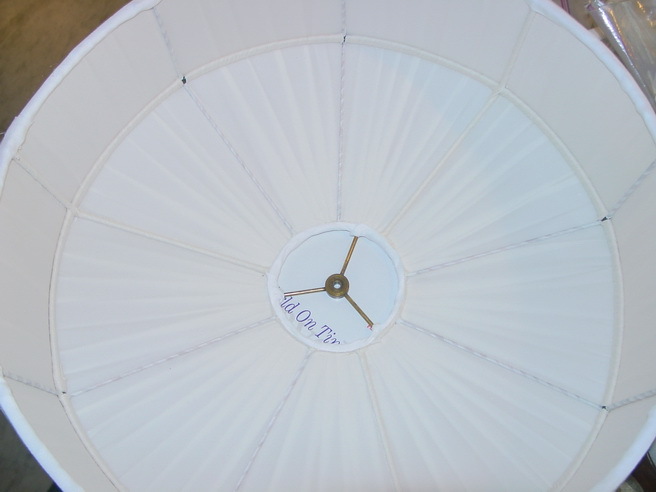 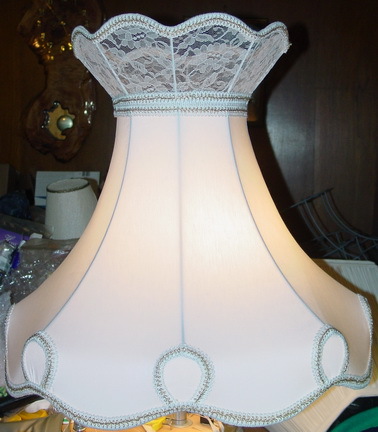 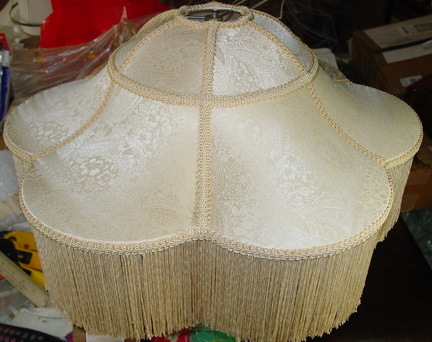 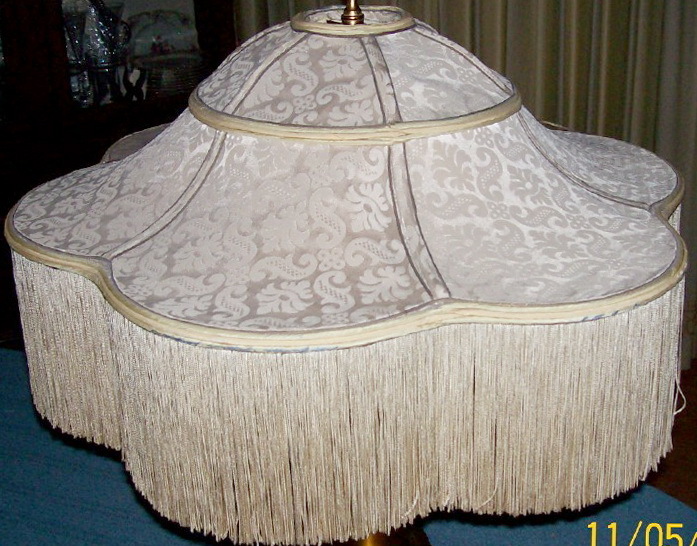 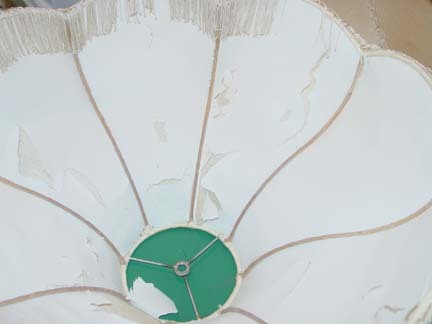 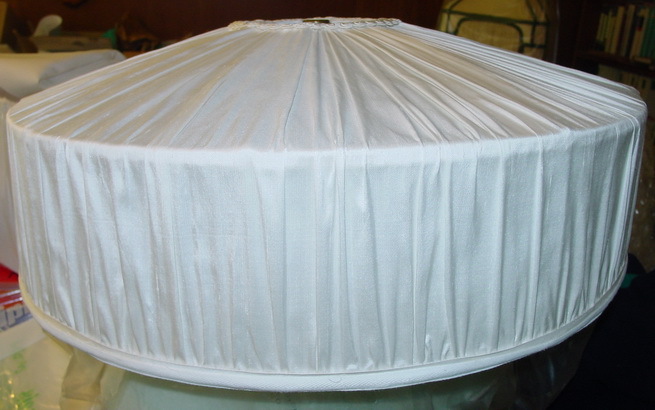 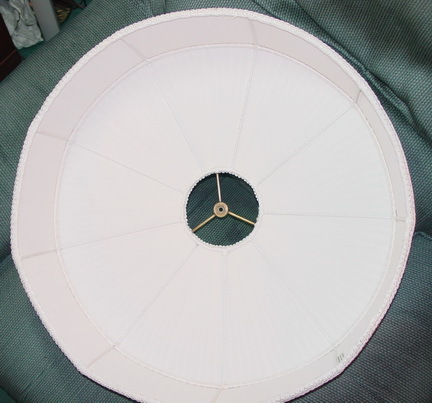 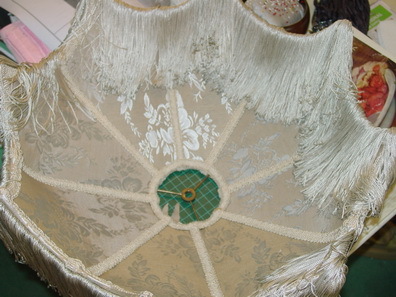 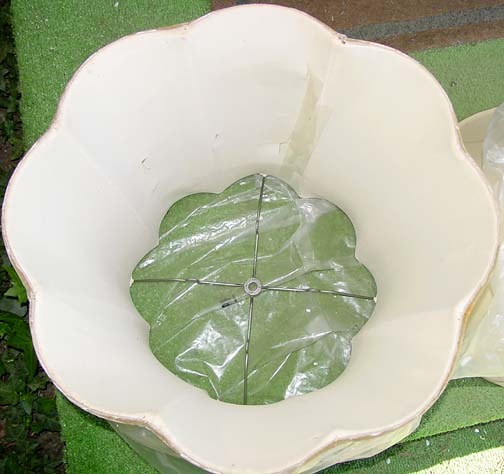 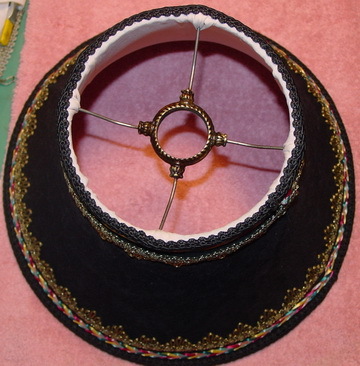 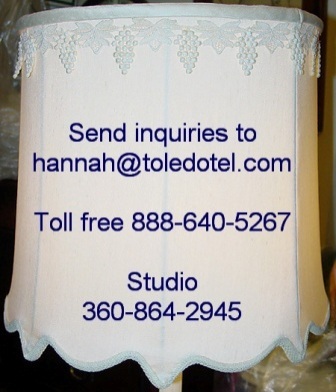 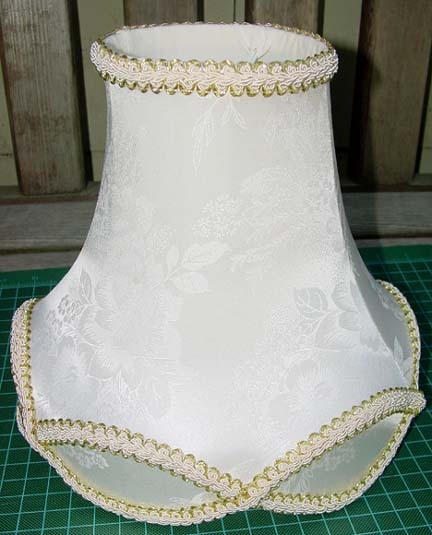 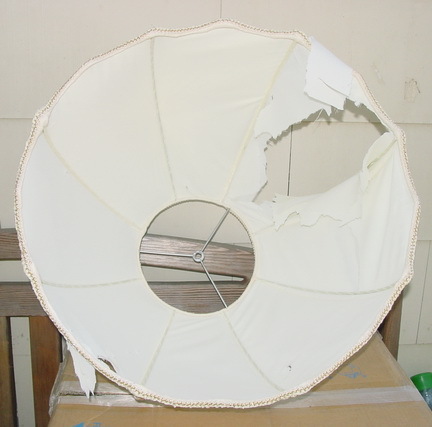 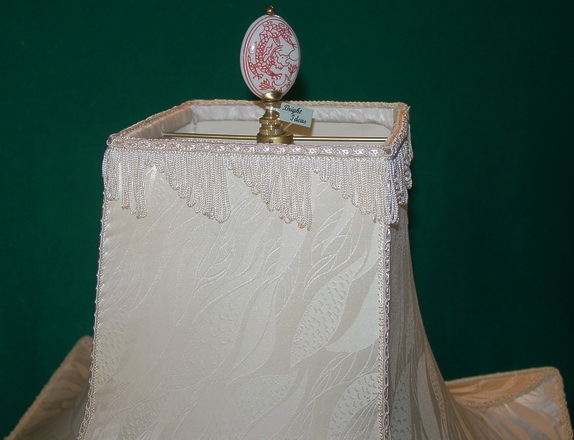 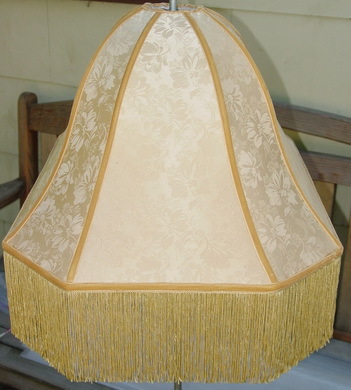 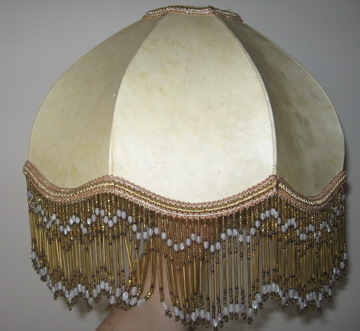 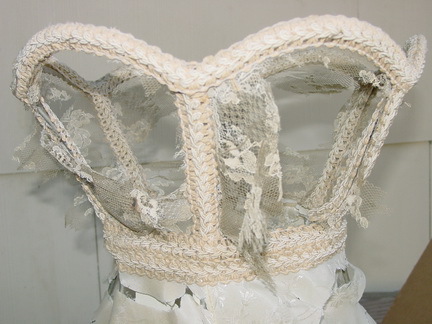 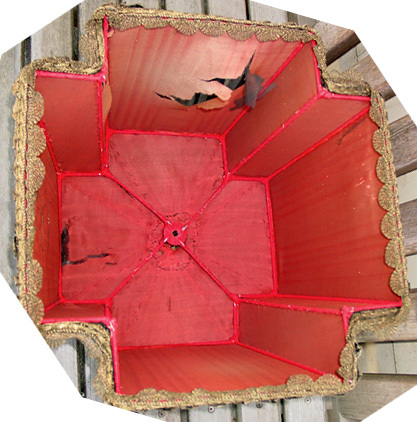 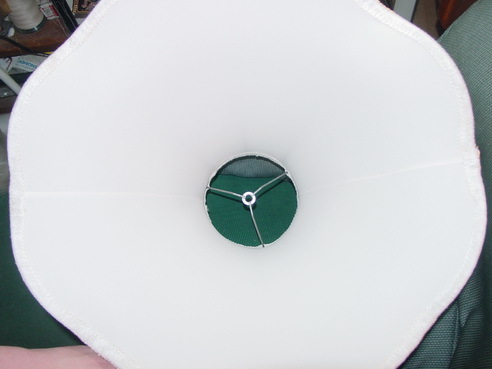 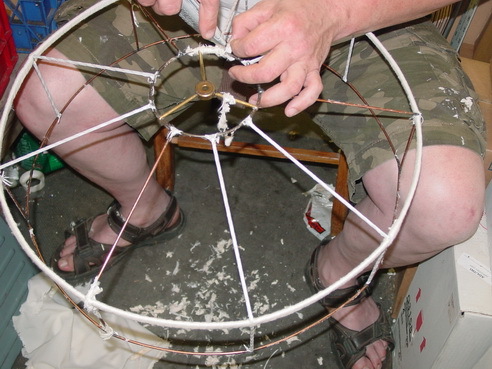 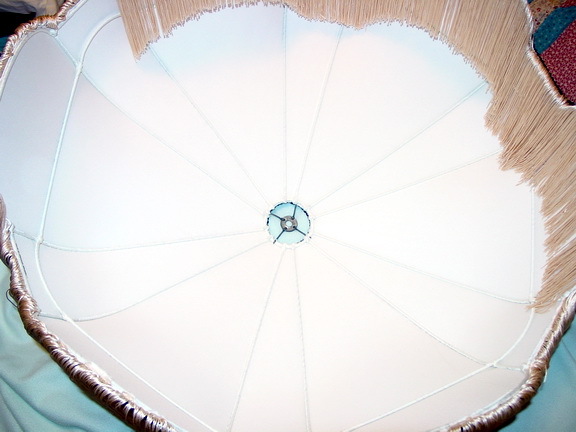 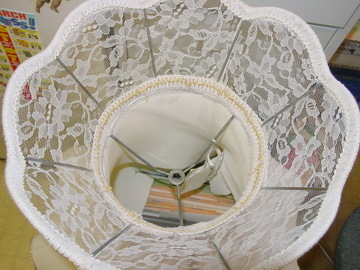 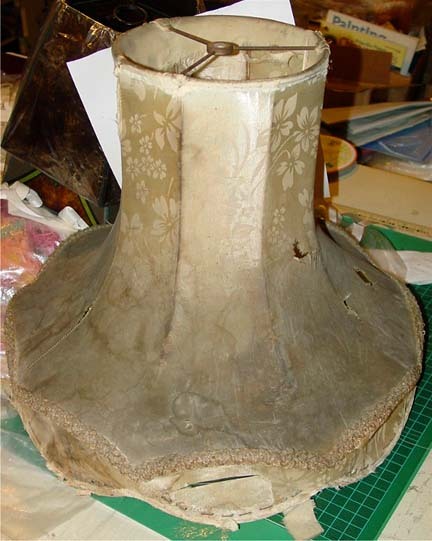 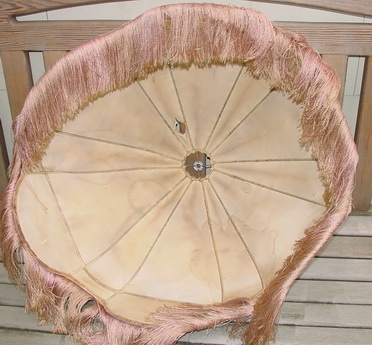 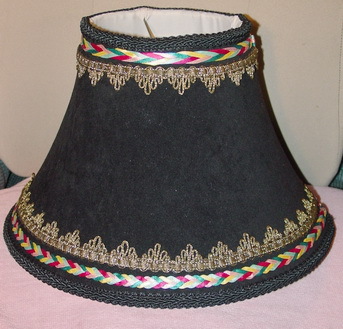 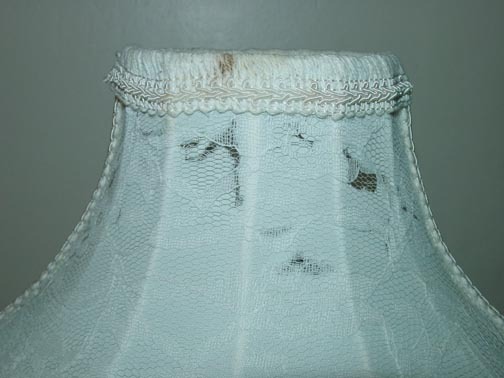 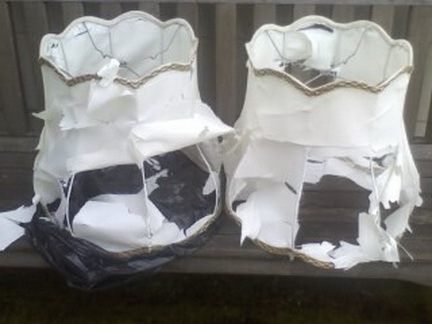 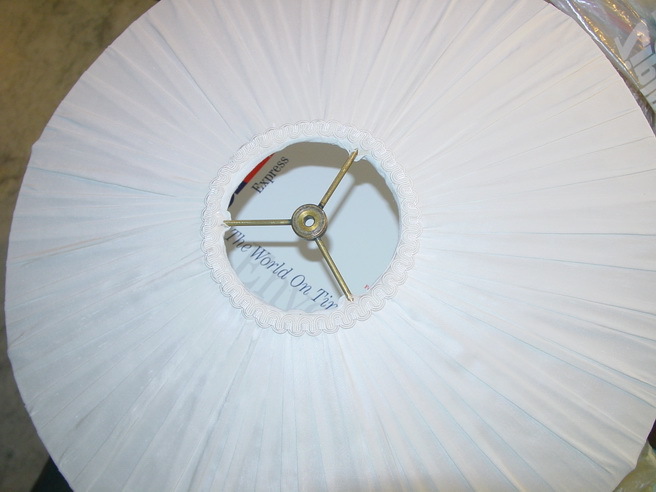 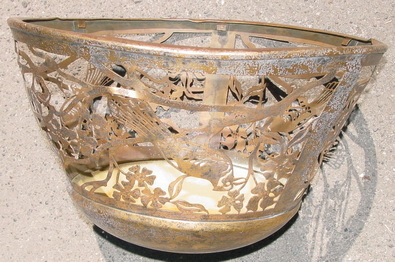 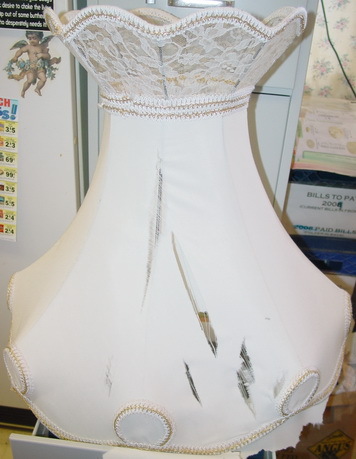 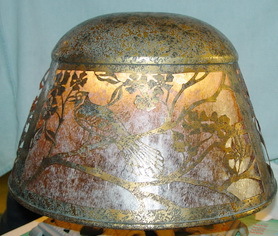 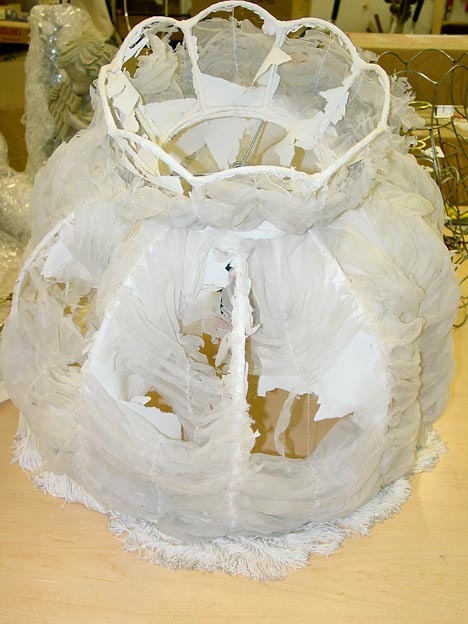 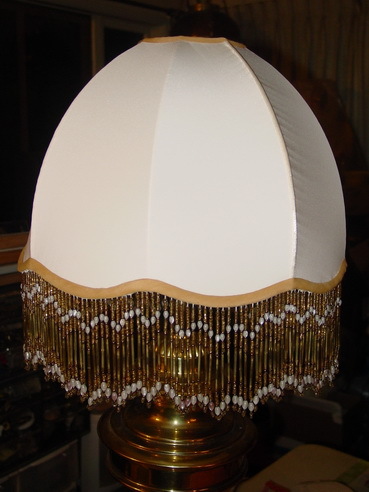 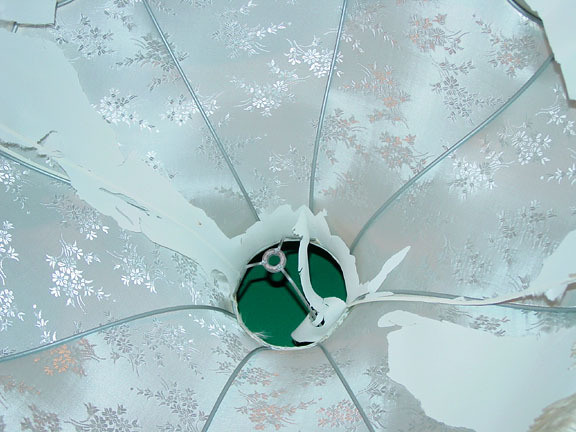 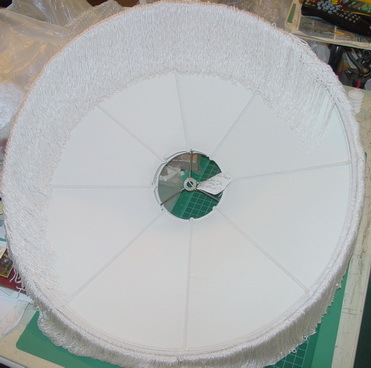 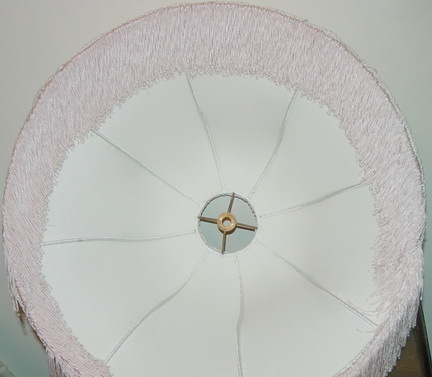 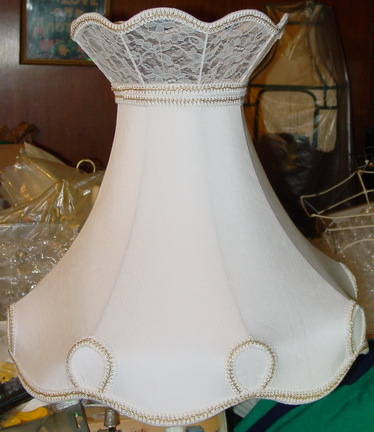 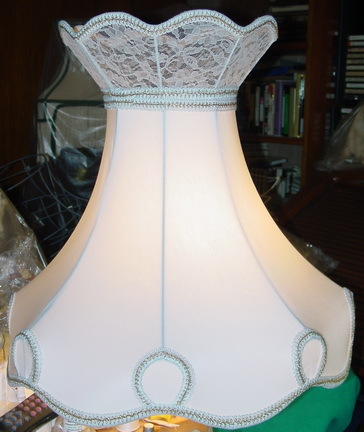 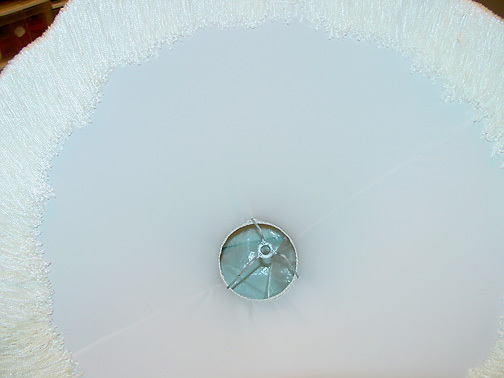 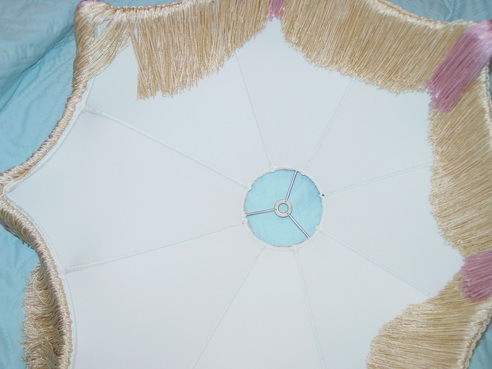 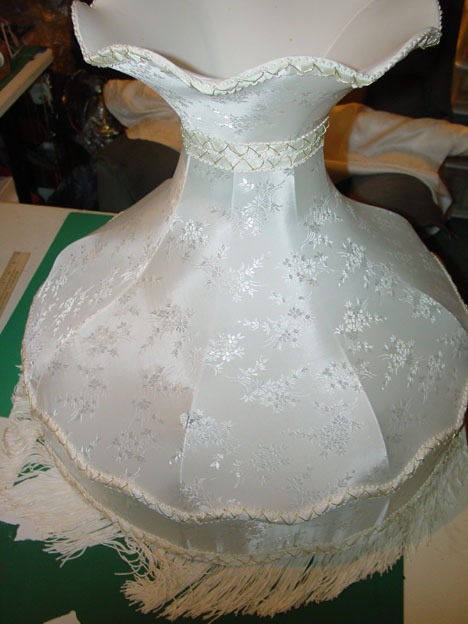 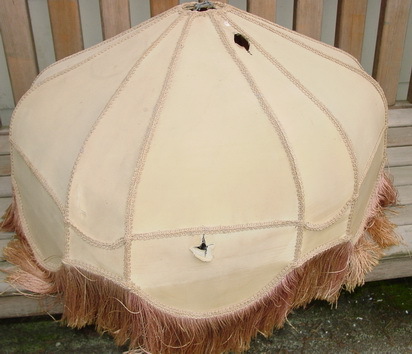 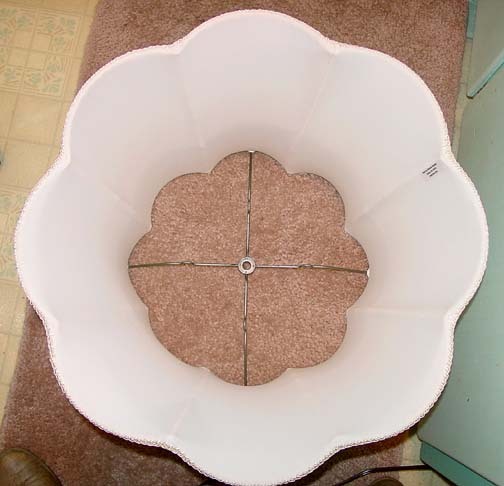 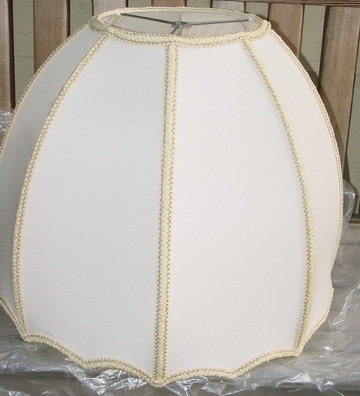 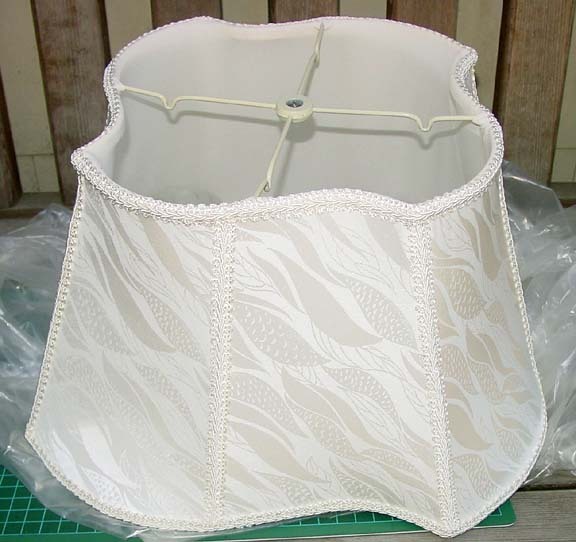 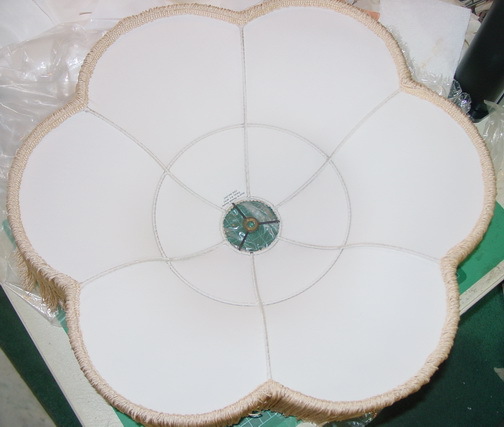 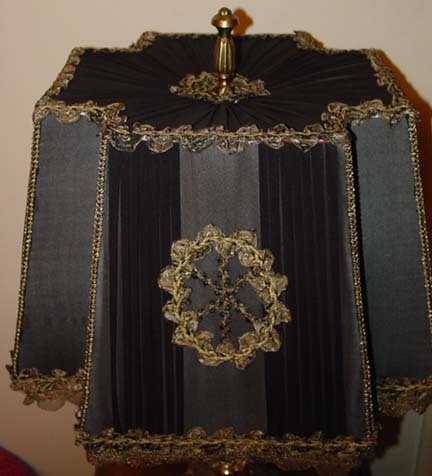 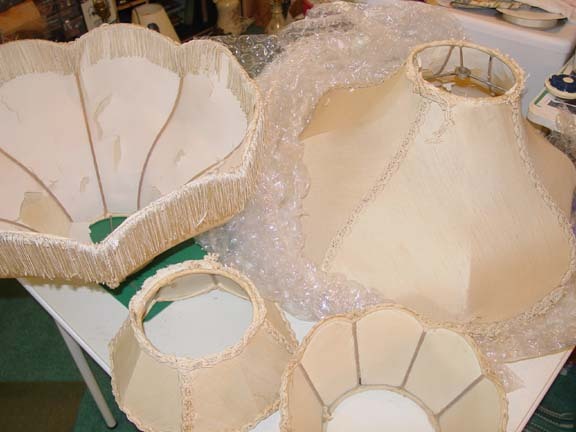 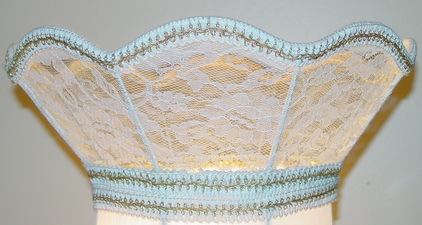 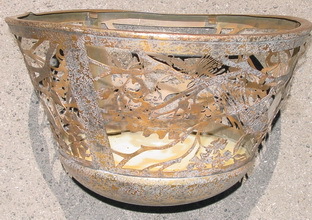 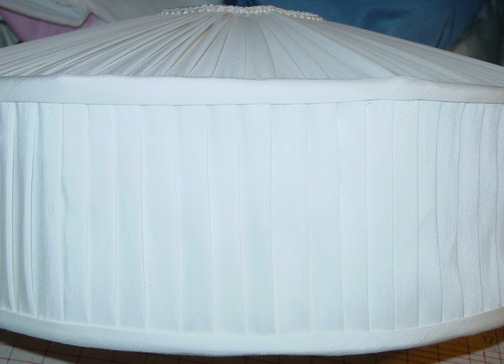 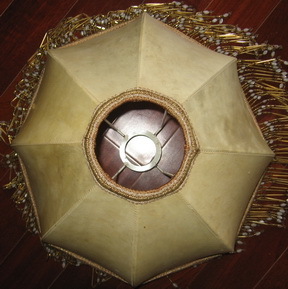 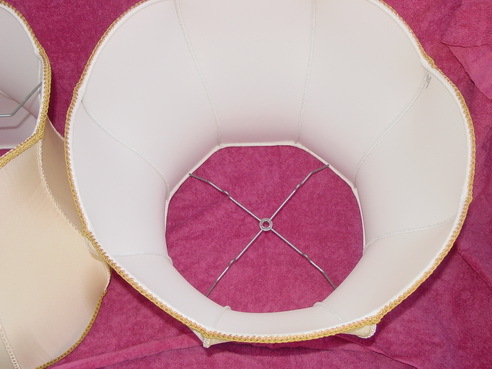 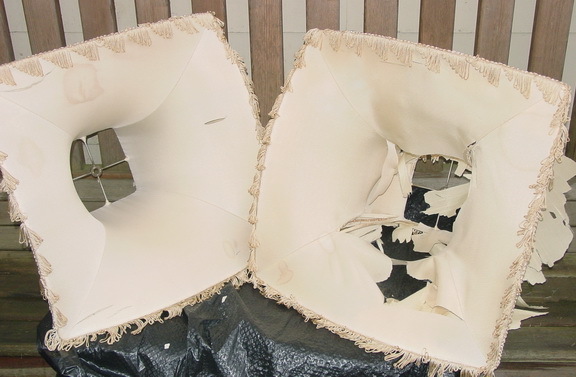 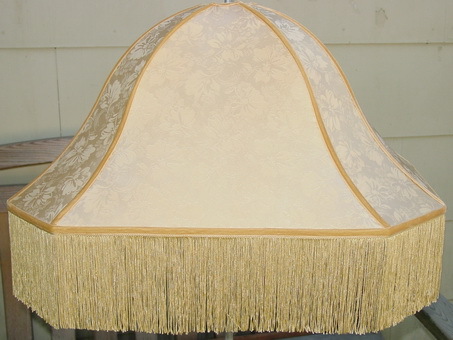 Call for estimate on complete lampshade restoration and replacement. 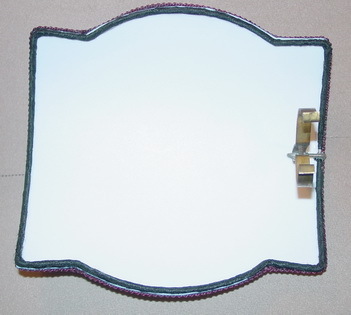 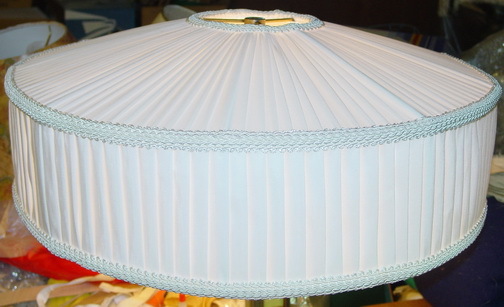 Even if you don't have the old frame, I have over 3,000 lampshade frames in stock in almost any size or style you might need. 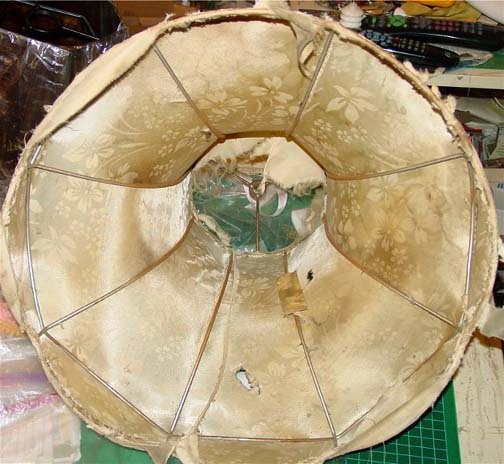 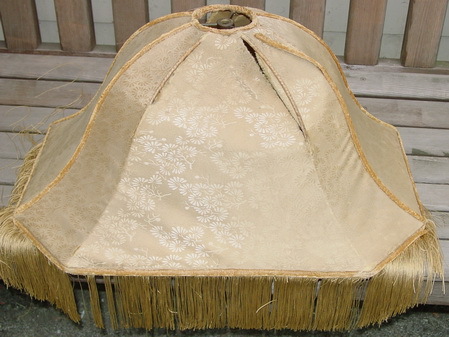 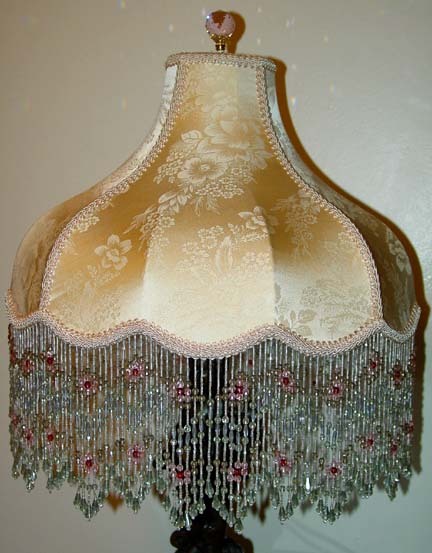 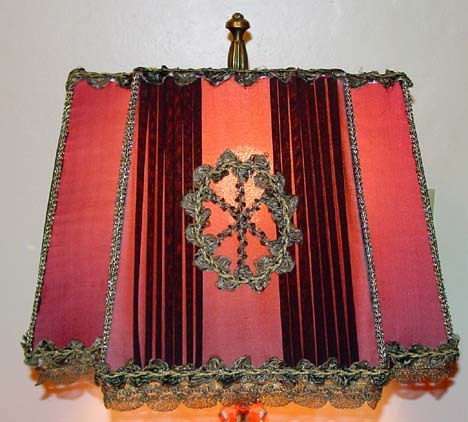 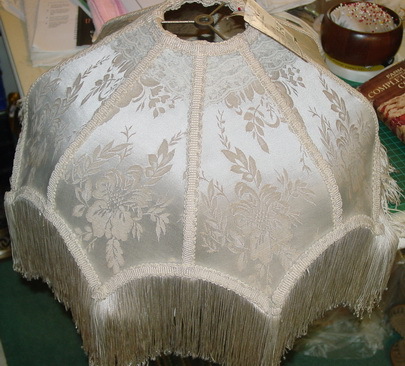 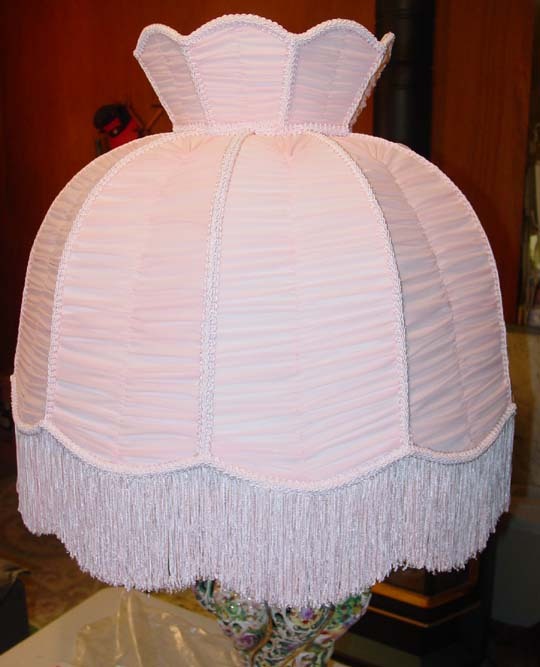 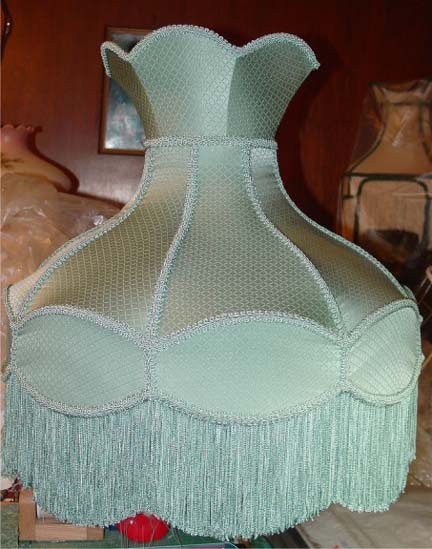 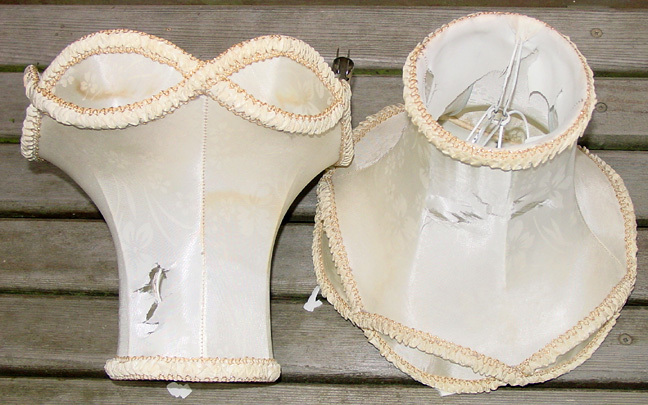 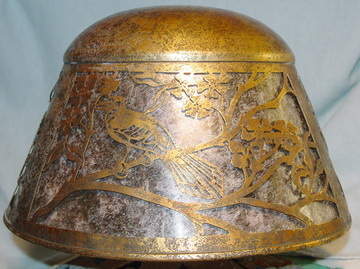 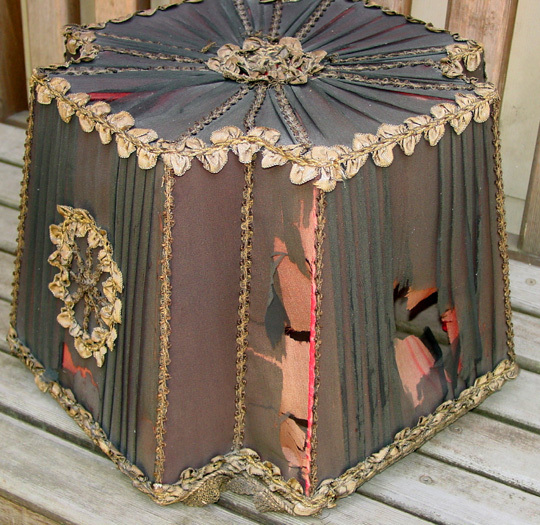 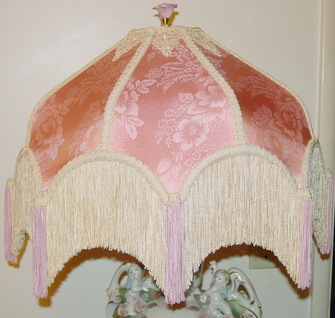 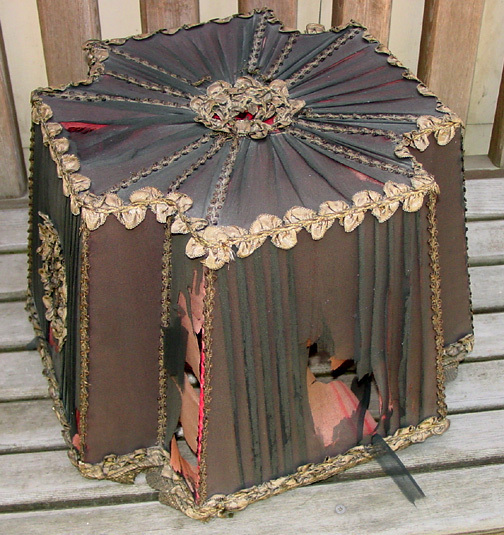 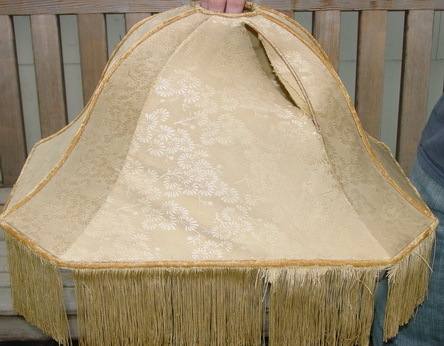 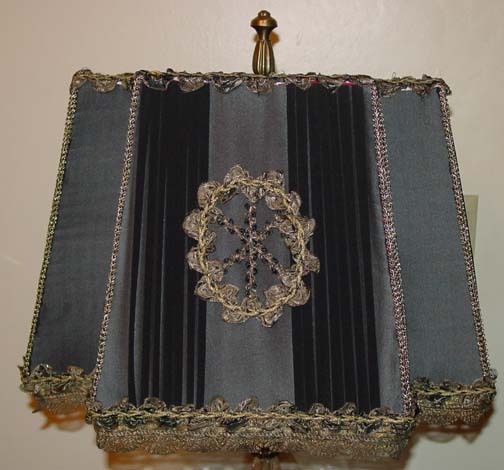 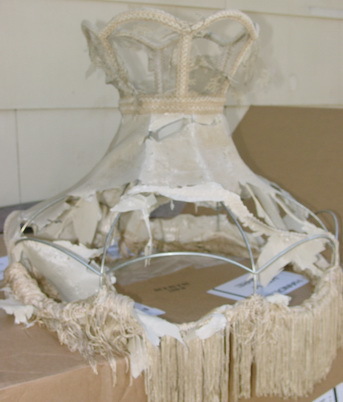 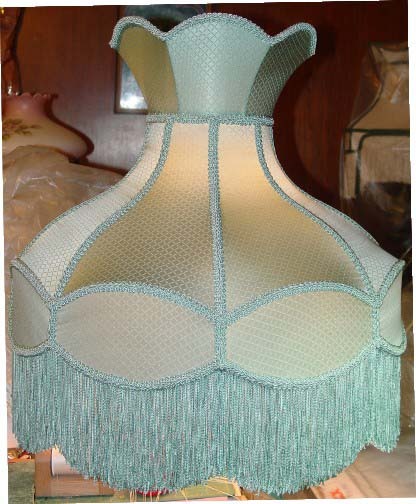 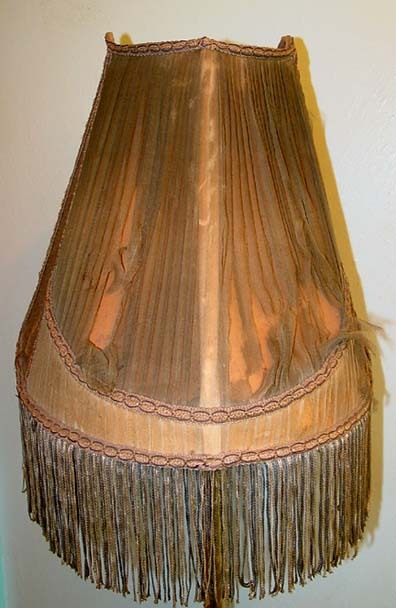 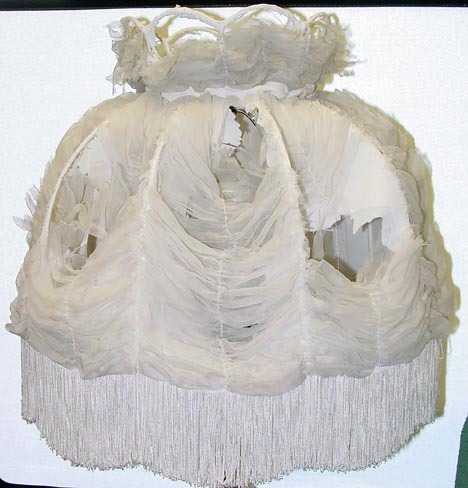 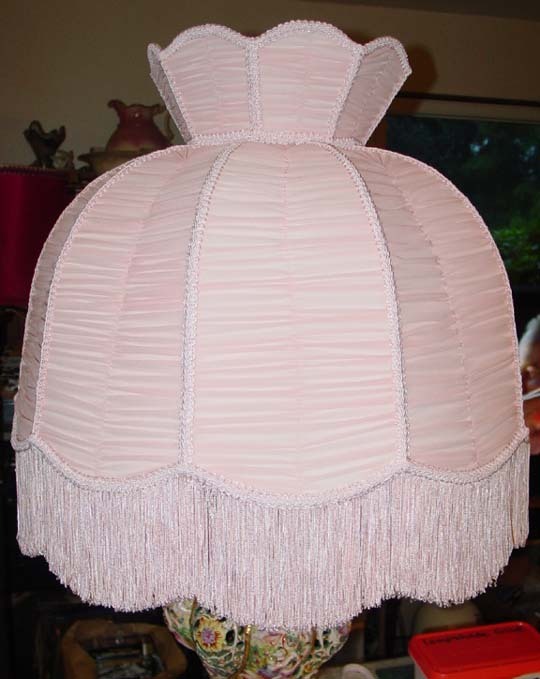 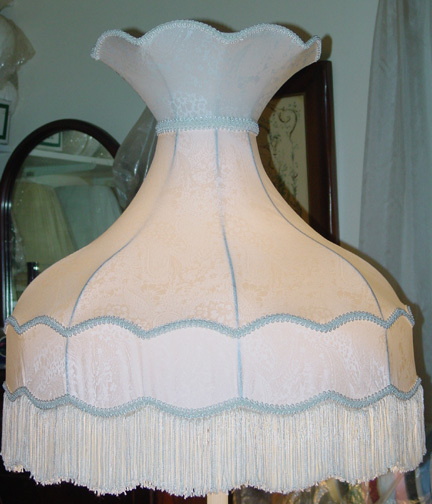 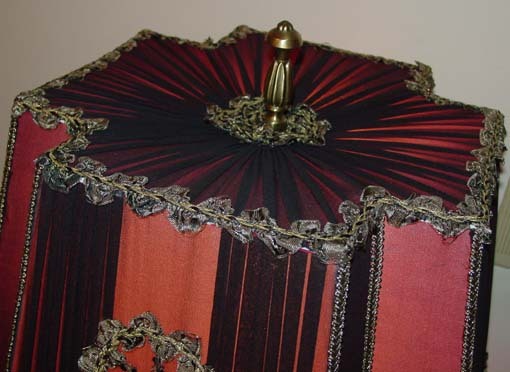 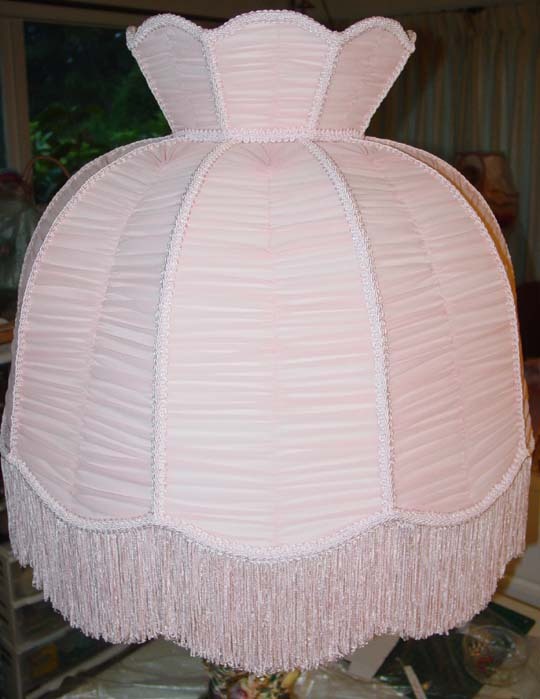 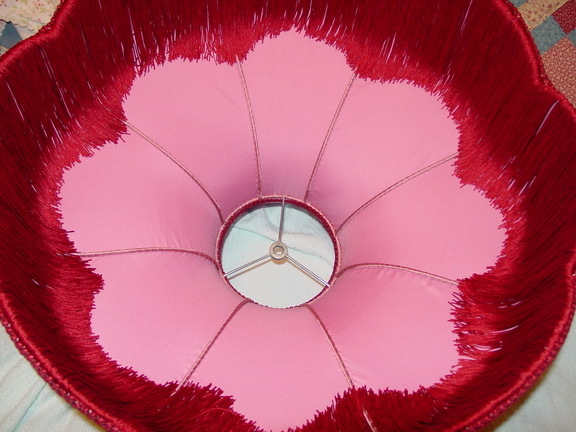 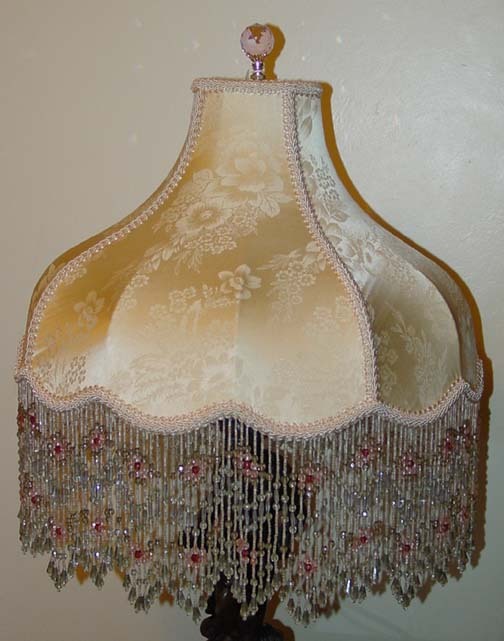 Most lampshades never go out of style -- they just wear out from years of service. 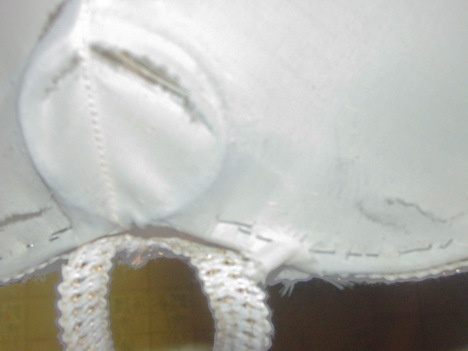 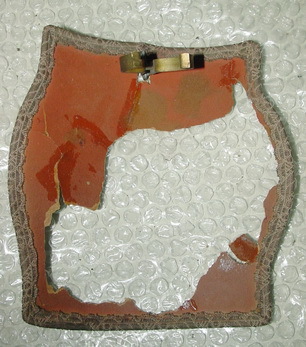 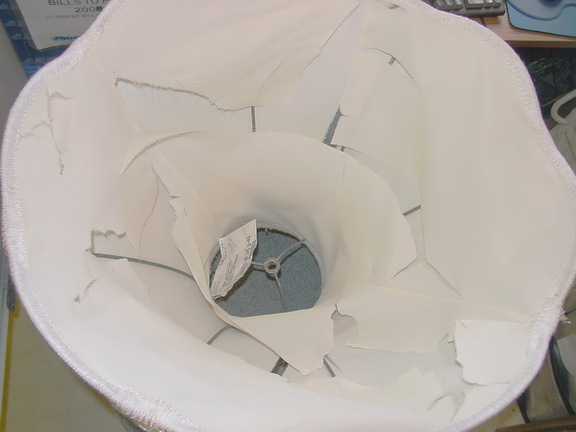 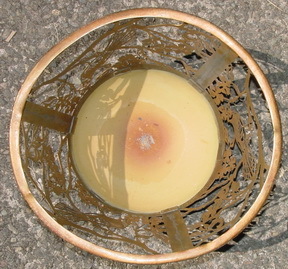 Heat from too hot a light bulb tends to dry out the lining and it becomes crumbly and disintegrates. 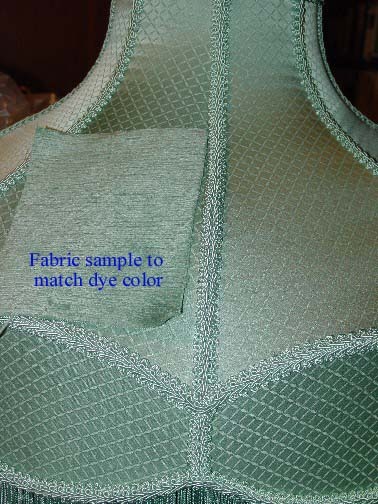 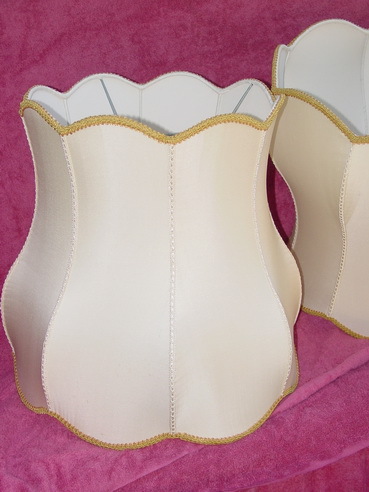 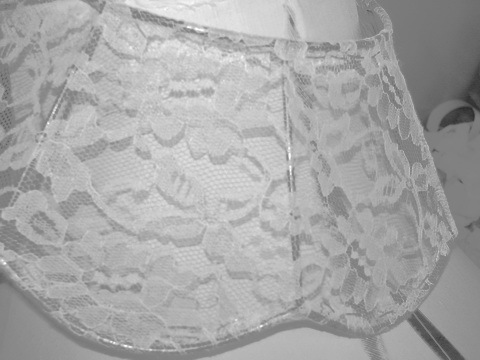 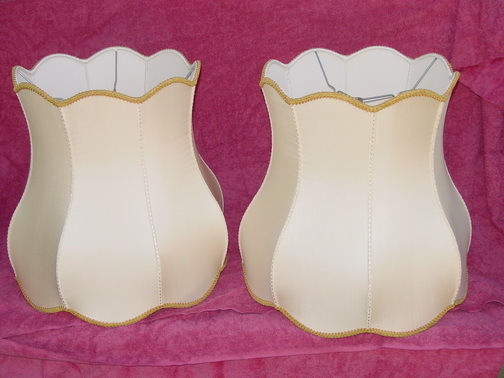 We can replace worn-out linings with new fabric that will last a long time! 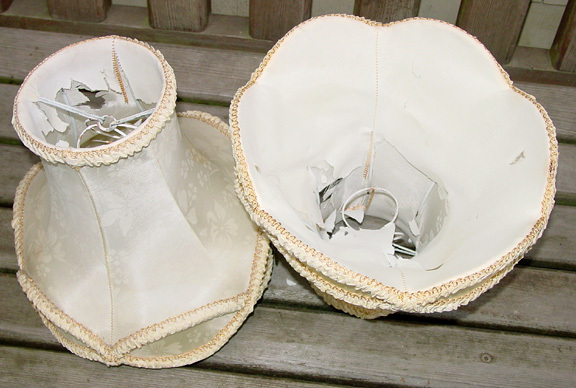 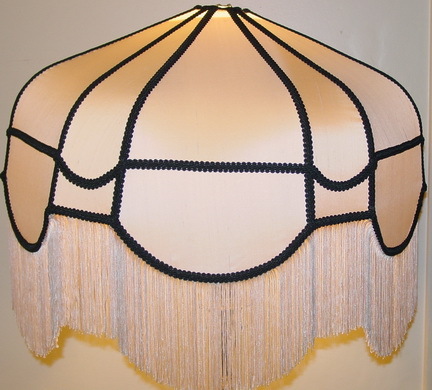 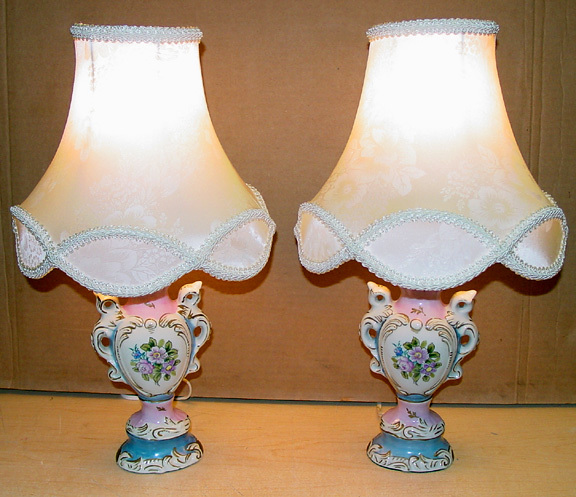 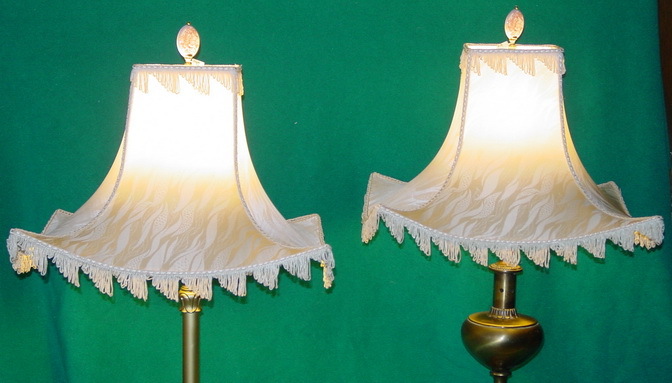 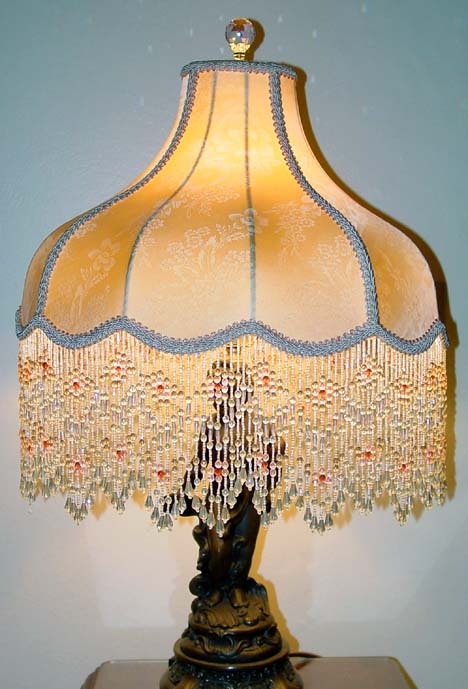 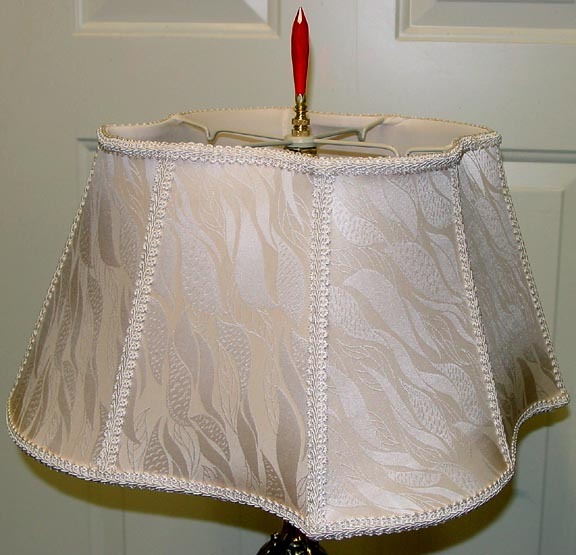 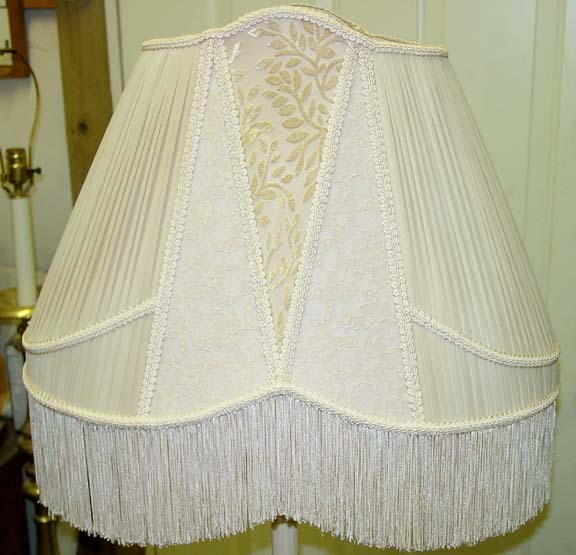 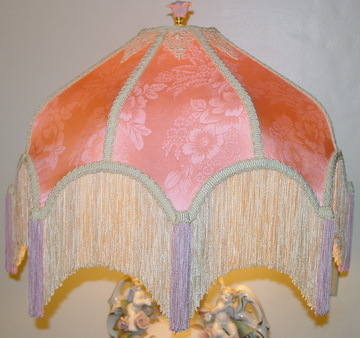 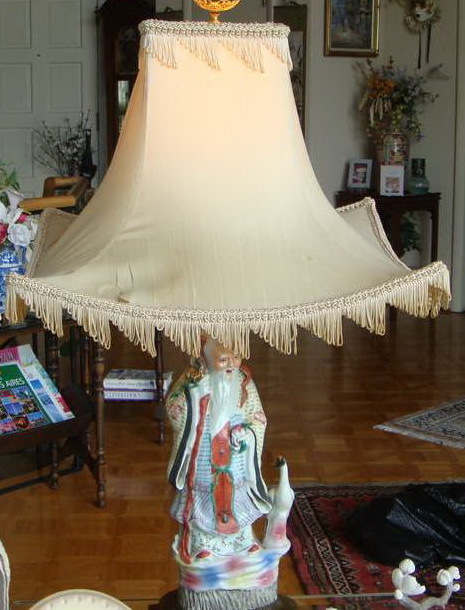 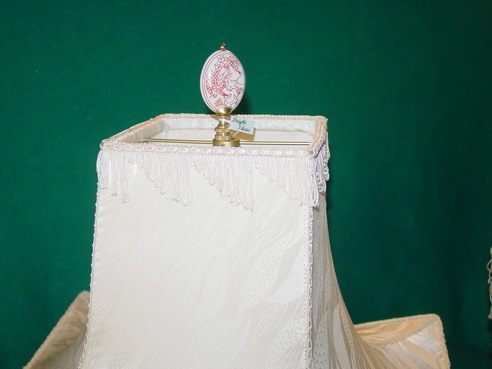 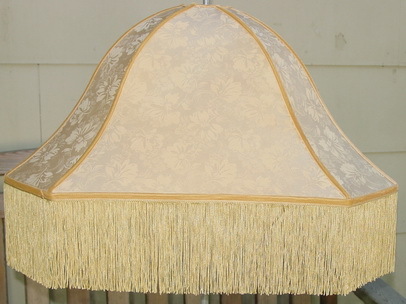 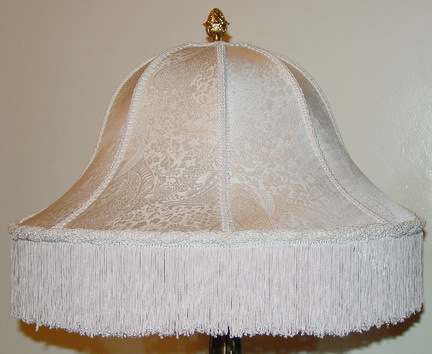 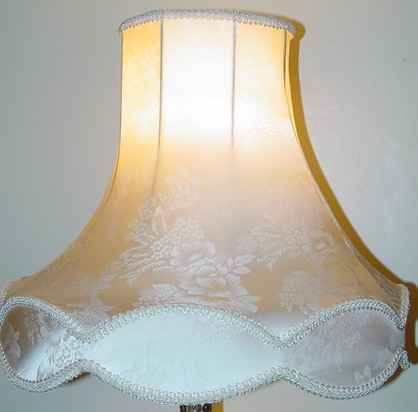 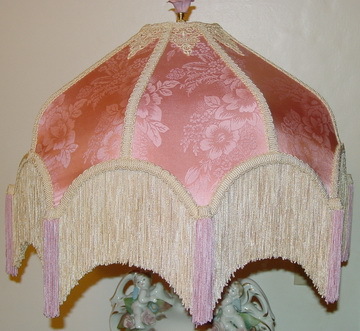 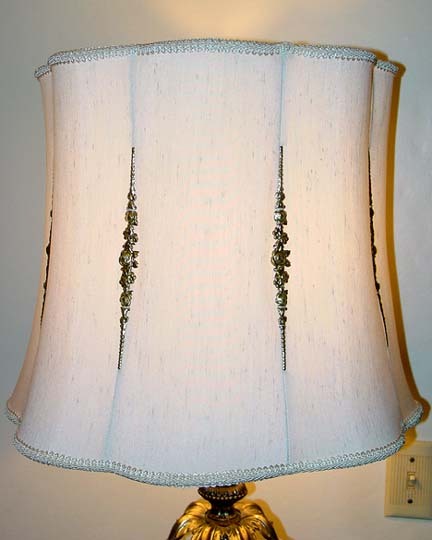 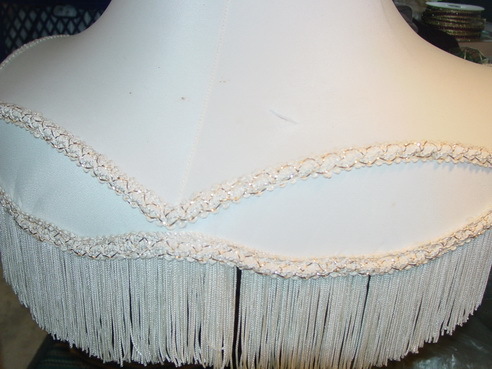 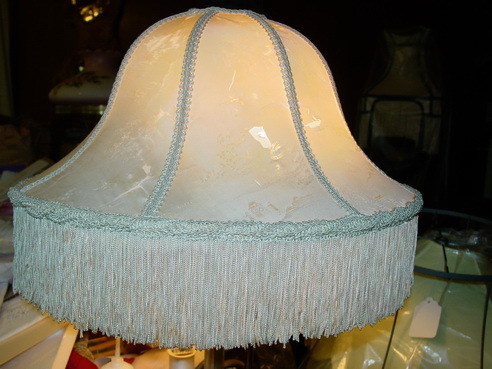 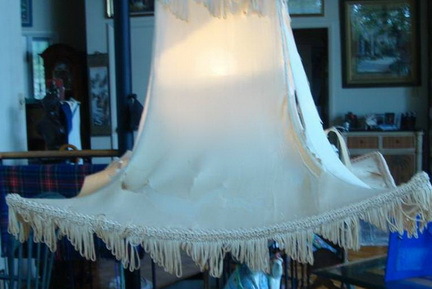 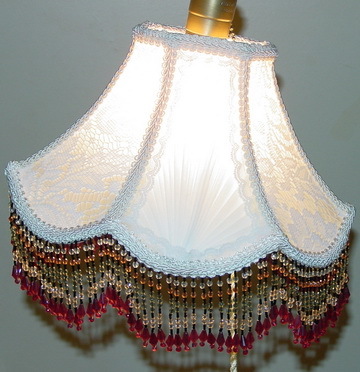 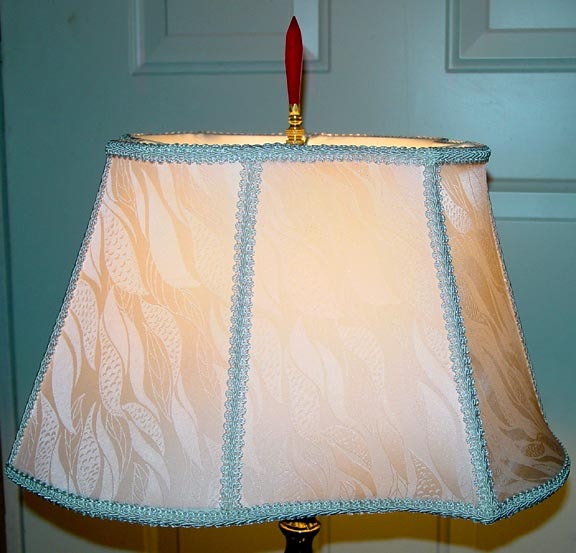 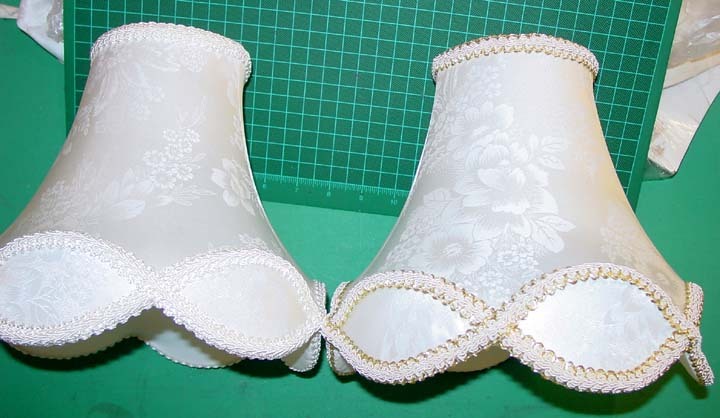 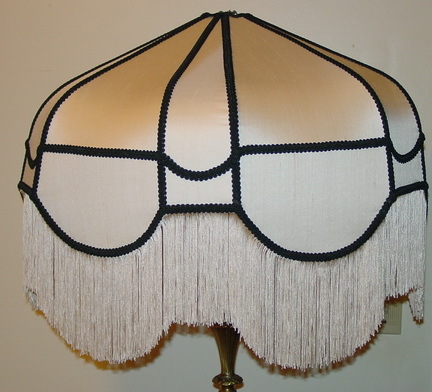 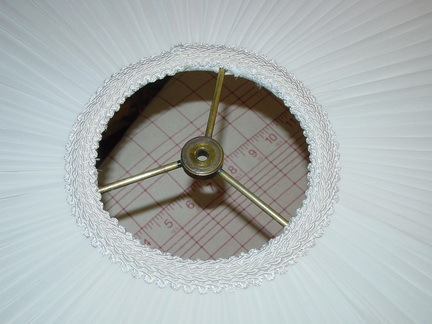 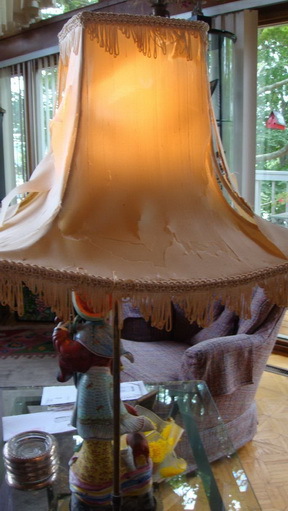 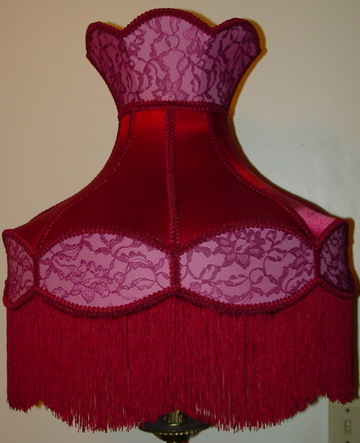 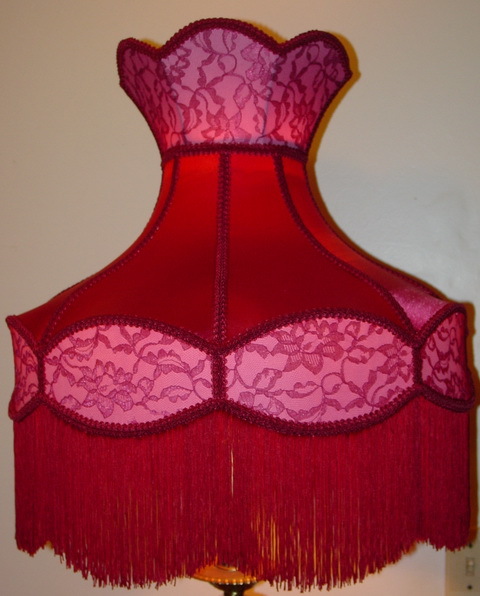 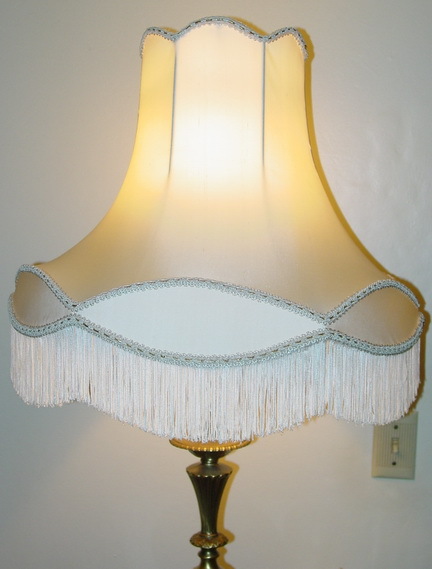 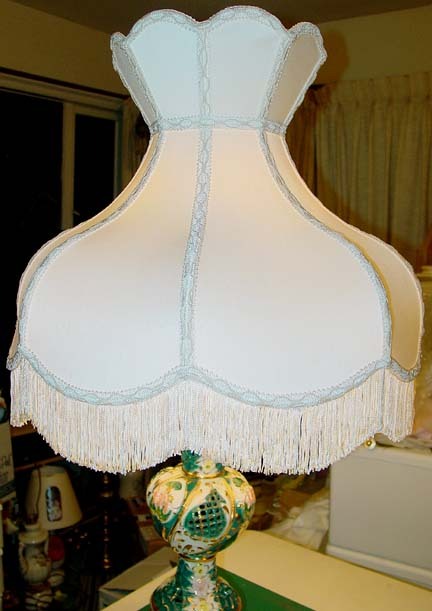 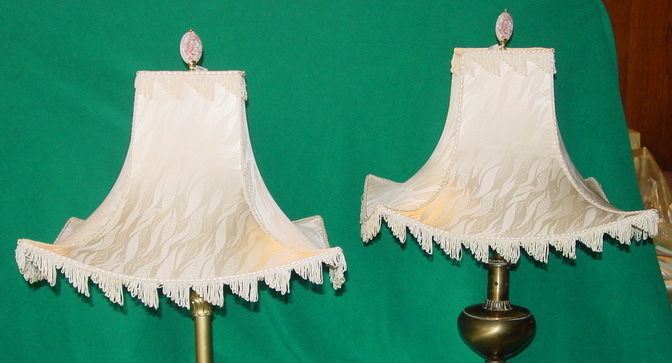 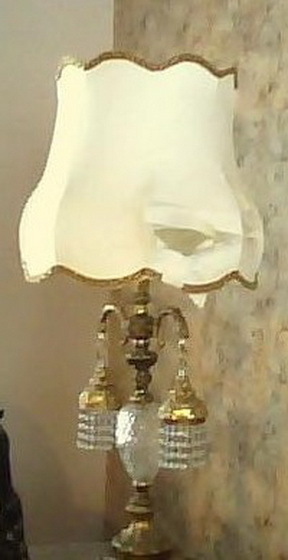 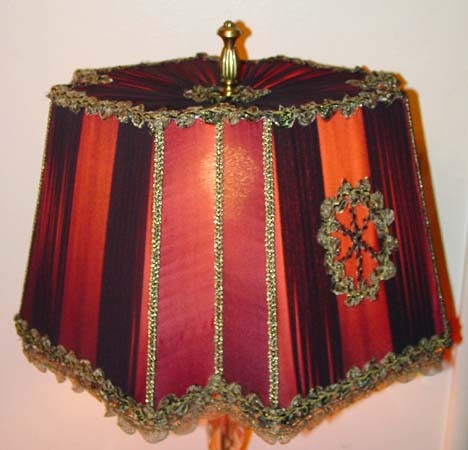 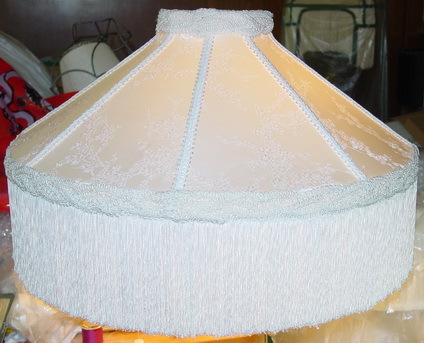 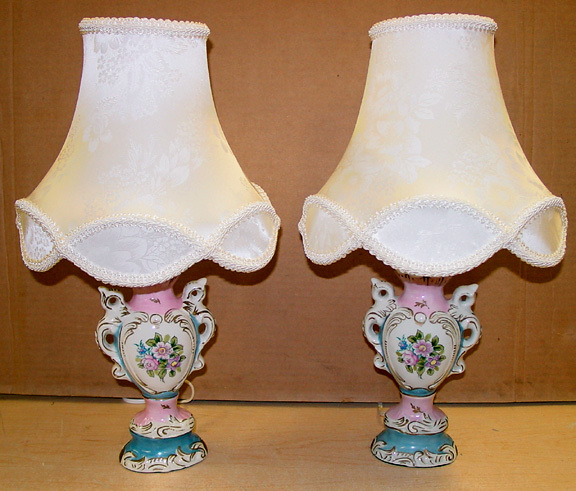 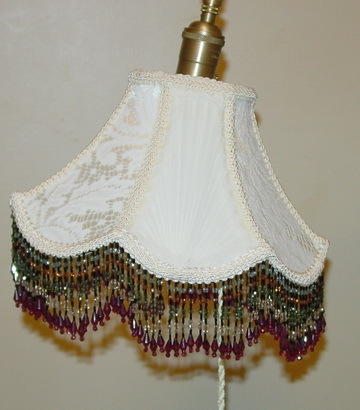 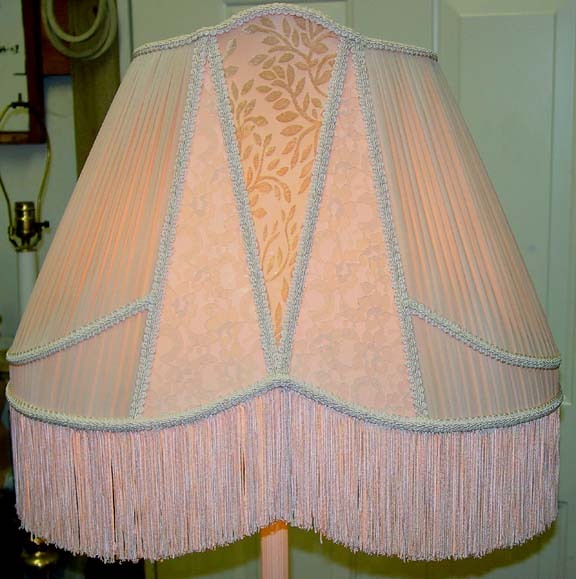 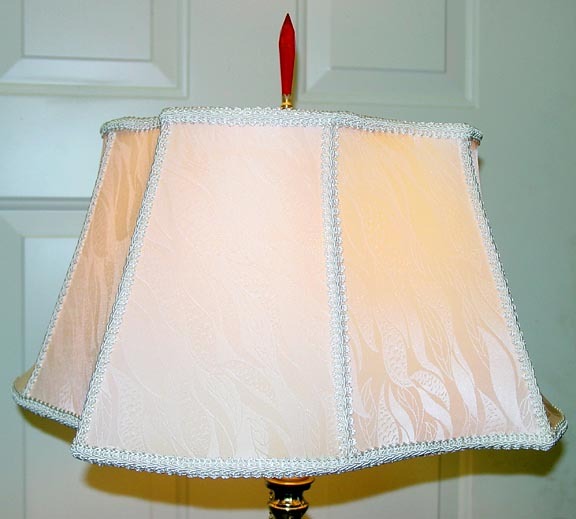 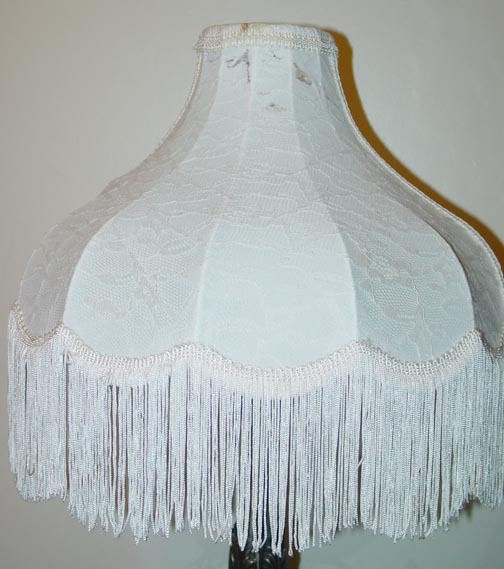 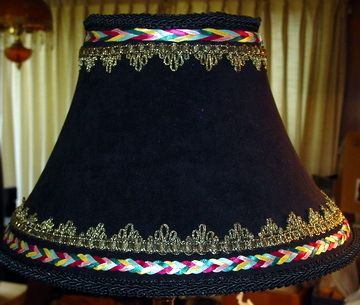 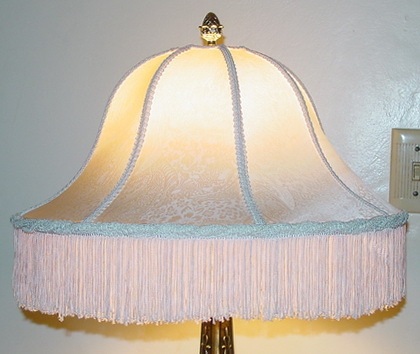 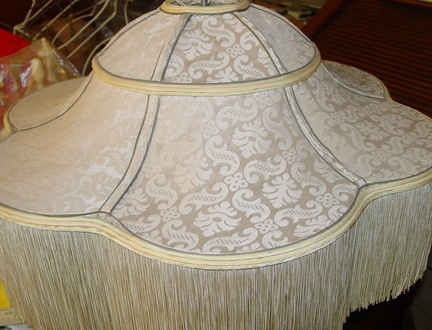 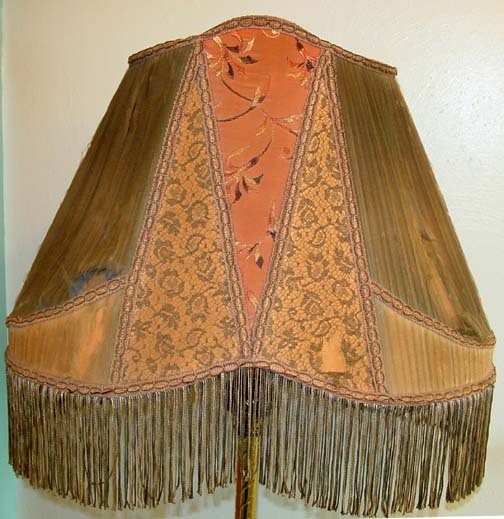 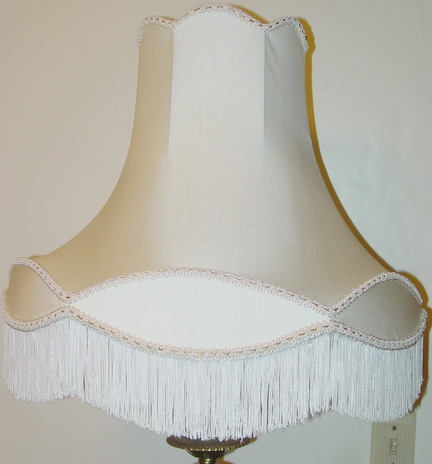 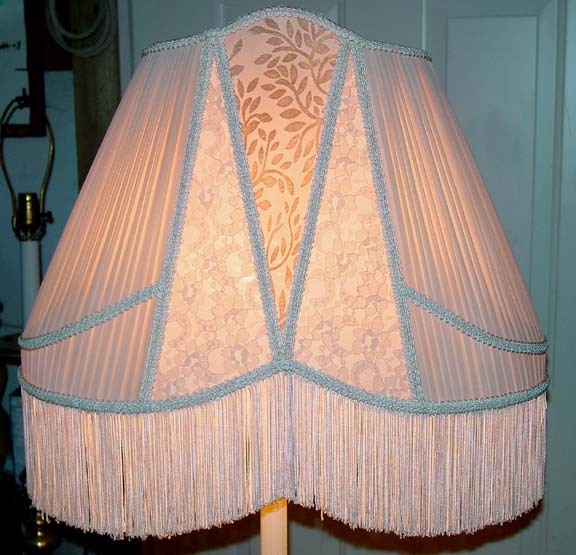 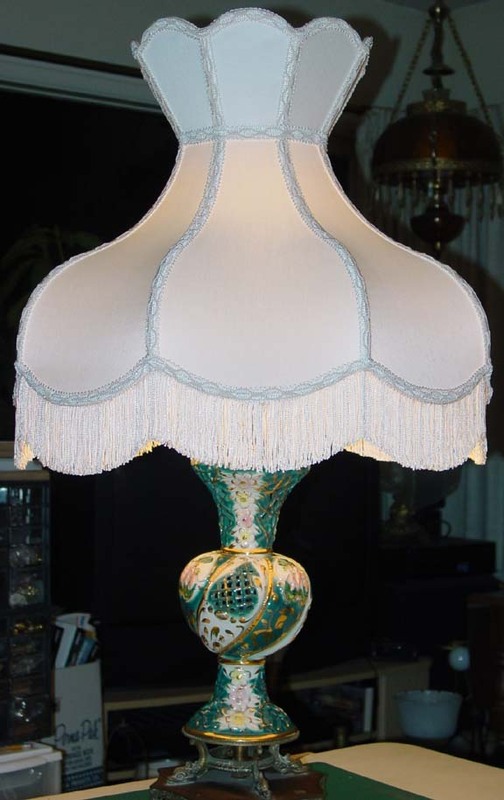 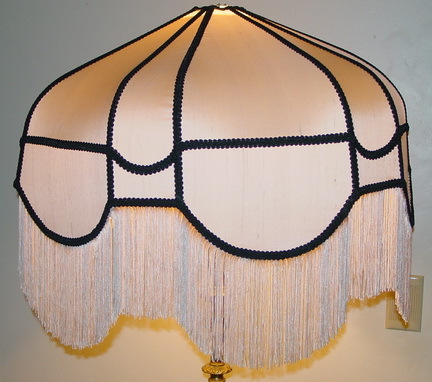 To make your lampshades last longer, be sure there is at least 3 inch clearance between the fabric and the light bulb. 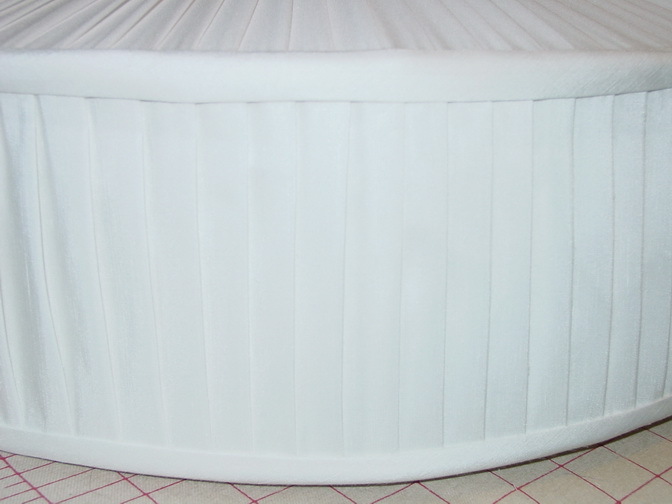 Reasonable prices - Finest materials - Prompt turnaround - Satisfaction Guaranteed! 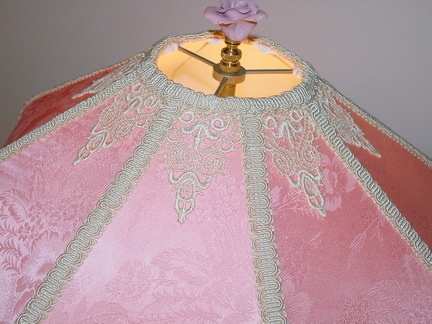 We accept credit card payments directly. 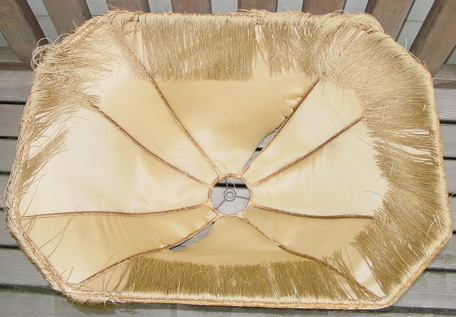 Any other credit card payment can be made through PayPal at https://www.paypal.com. 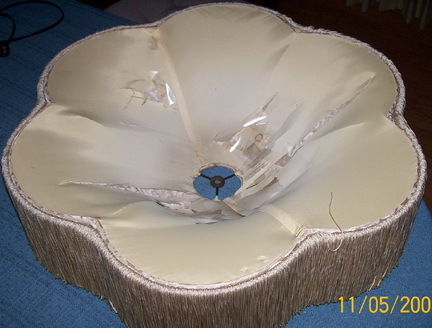 Call us first to determine shipping charges. 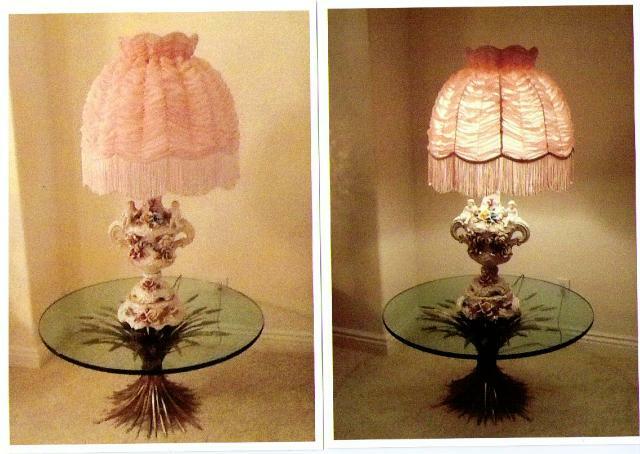 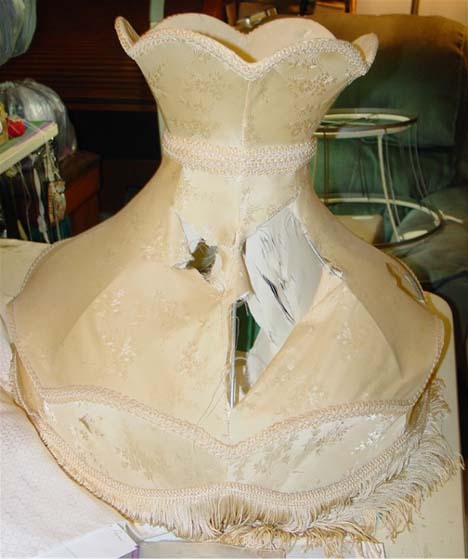 Regrettably, I can't find the "Before" pictures, but here's the "After" pictures to the most challenging project! 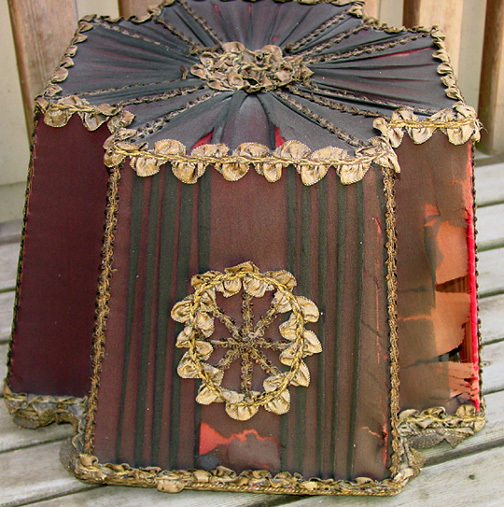 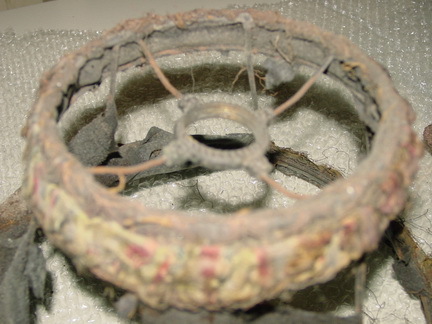 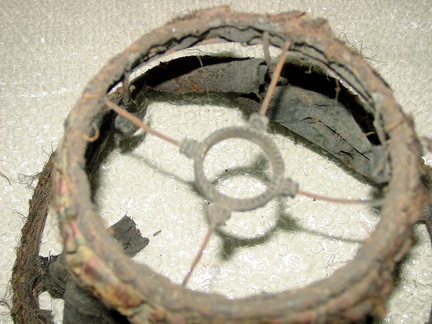 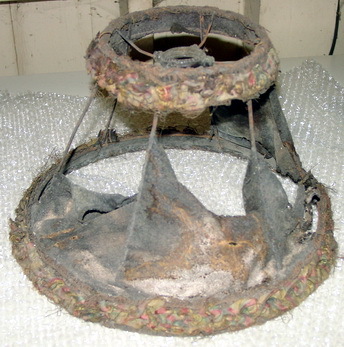 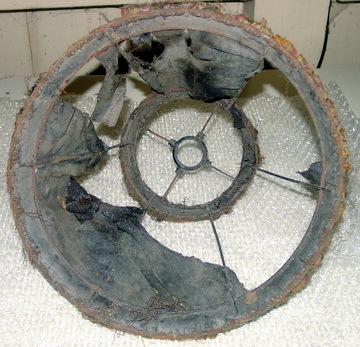 Uno lampshade found under a farmhouse built in 1889 in Iowa - severely rusted and looked like it had been in a fire.